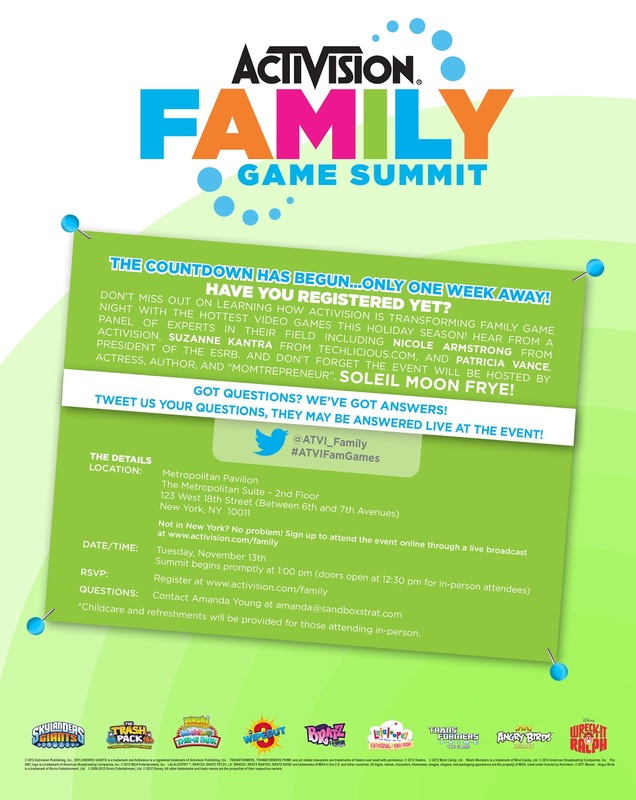 Simply Raising 8: Activision Family Game Summit! Superstorm Sandy has NOT changed the plan! 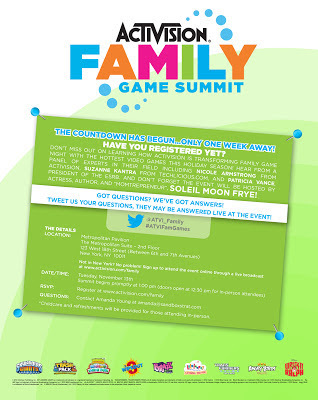 Activision Family Game Summit! Superstorm Sandy has NOT changed the plan! Many of you may have wondered if Hurricane Sandy could stop this event from happening. I wondered myself, being that it is in New York. We are still on for both the Live Event and The online Event and it is not too late to sign up. With the Technology we have these days, you have a few options to attend this event. You can sign up to be at the event in New York live or you can attend the event online by watching it from your home computer. Simply sign up at this webpage and the link will be emailed to you with instructions how to attend. Sit in front of your computer and prepare to learn how your family can use video games to bring your family together. I can't wait to see what they have for this holiday season. I have used the WII to encourage my children to do their chores. You can see that in this post from our Wii Chore Tournament I created. To all of you who have been effected by this storm my family has you in our prayers. Disclosure: This is a sponsored post: It is all written in my own words and opinion.